2 Bedroom Ground Floor Flat For Sale in Tunbridge Wells for Guide Price £450,000. Guide price 450,000 - 475,000. Freeman Forman are delighted to present this fabulous two bedroom ground floor apartment, occupying an enviable position in the popular village of Frant, with far reaching countryside views. The property forms part of a Grade II Listed mansion building and boasts the former Ballroom as its drawing room. The property benefits from a garage, a small private outside area, whilst having the use of nine acres of communal grounds and a large gravel parking area. The grand accommodation offers a wealth of period features including high ceilings and original window shutters. 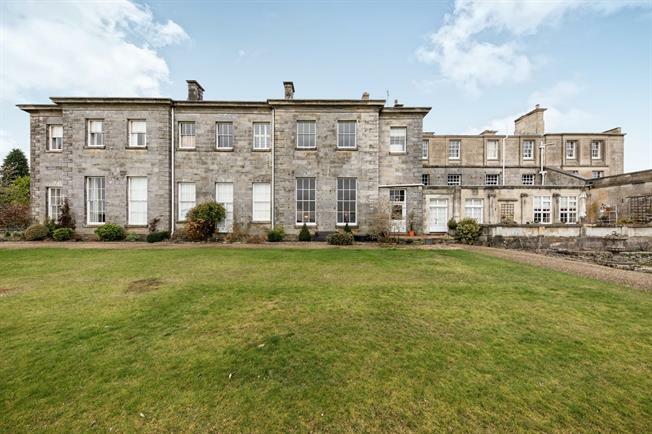 The property enjoys an entrance hall, large drawing room, cloakroom, kitchen breakfast room, two double bedrooms, bathroom and an impressive shower room. The property owns a share of the freehold and further information regarding the lease is available via the vendors sole agent Freeman Forman. There is planning permission for the current kitchen to be moved into the drawing room if required. The Frant Mainline Railway Station, Village Pub, Primary School and Local Shop are all within reach. An internal viewing comes highly recommended.